The San Miguel Beermen is scheduled for a Game 5 Semi-Finals round against the Talk ‘N Text KaTropa Texters at 7:00 P.M. on February 16, 2017 in Mall of Asia Arena. The continuation of the best-of-seven series between San Miguel and TNT resumes today. Both teams are currently tied at 2-2. The Best-of-Seven series is now converted into Best-of-Three when the game starts tonight. It was the first time this conference that San Miguel took a back-to-back loss after a stellar 12 games winning streak. In Game 4, the Beermen made its adjustment and proved once more why they have dominated the standings of 2016-17 PBA Philippine Cup. San Miguel lead went to the ceiling in the third quarter wherein they made a gap as high as 22 points. They started the second half with a back-to-back three point shots from Chris Ross. Ross who rarely seen throwing long bombs led the Beermen with 31 points, 15 of those points came from the rainbow territory. “I have to commend my players. They know the situation and they played with a sense of urgency especially Chris Ross. 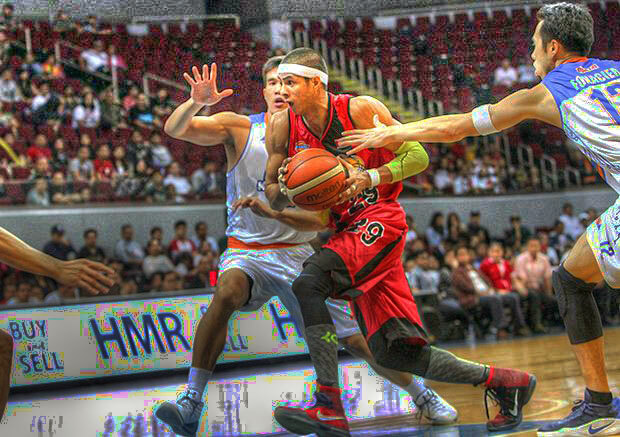 He was really focused on this game,” coach Leo Austria said. Roger Pogoy who registered his career-high of 22 points in Game 3 was only limited to 9 points. Larry Fonacier led all KaTropa scorers with his 15 points.